This is the first blade I've made in a long while that was not a commission. 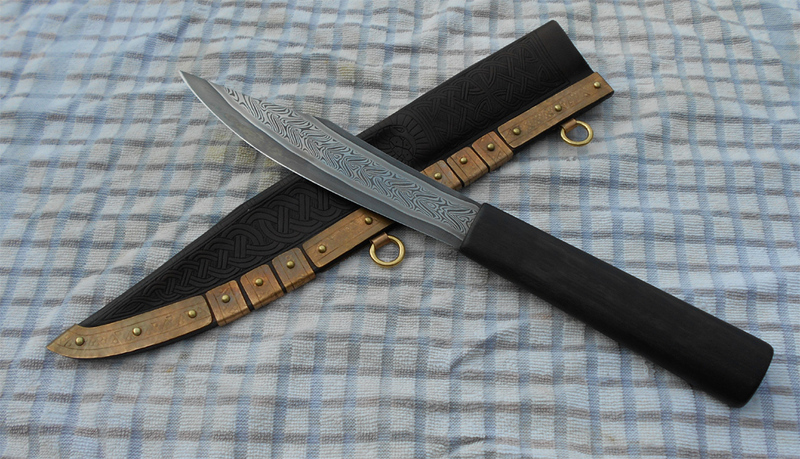 Blade made of 2 opposing twists of 1084 and 203e, framed with 203e, framed with W1, 7 5/16" long, 1 5/16" wide, .29" thick. 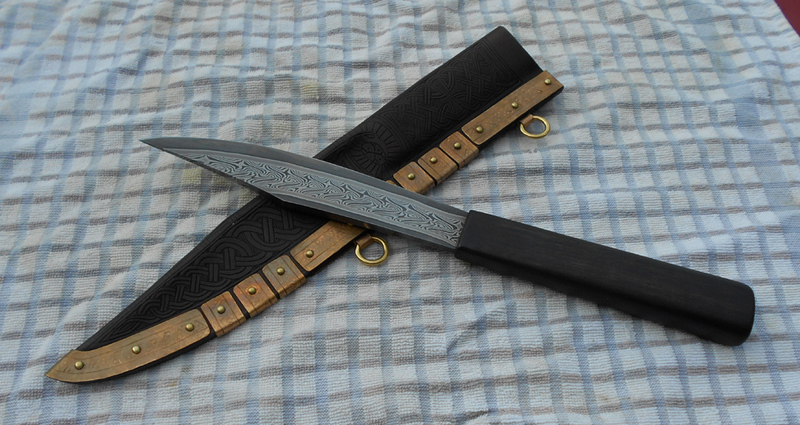 Handle is 5400 year old bog oak, sheath is leather with bronze fittings and brass rivets and rings. Overall length is 13 7/16". Not based on any particular original, but hopefully captures the spirit of the originals. I am asking $375 plus shipping for this one. As it should be! 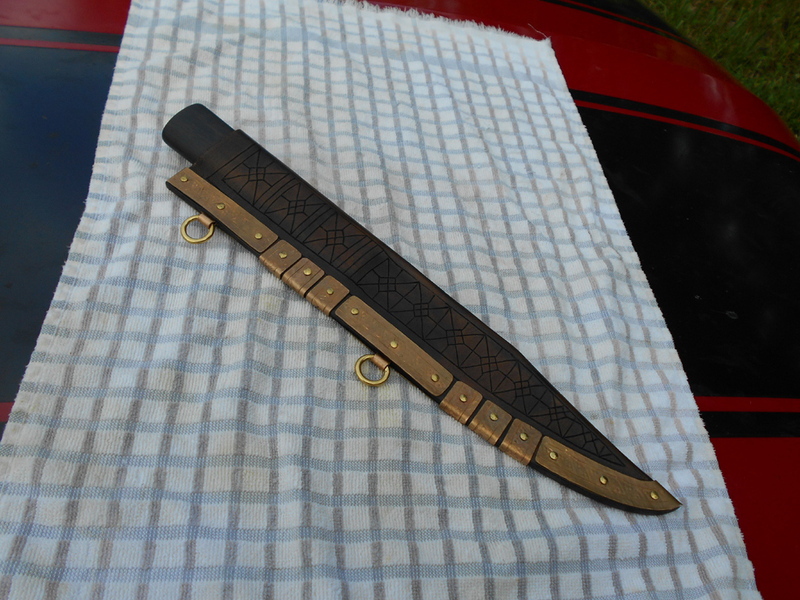 The seax I got off of you last year features at every event I'm at. Lots of compliments on it! Wouldn't mind seeing more langseax work! That was quick, someone is happy as a clam.